Remember the box from your kitchen cabinet with the white-haired guy in the blue hat? Yep, you guessed it: oatmeal! Or as the southerners call their version of it, “grits.” They used to be such a pain–you had to cook them for 45 minutes to reach a consistency even close to decent. And forget about the flavor. You had to load the brown sugar on for it to be even slightly edible. When instant oats came out, their popularity rose but eventually subdued again. Well, I say its time to bring back the oatmeal fad. Only this time it’s here to stay because they are genuinely beneficial for you. 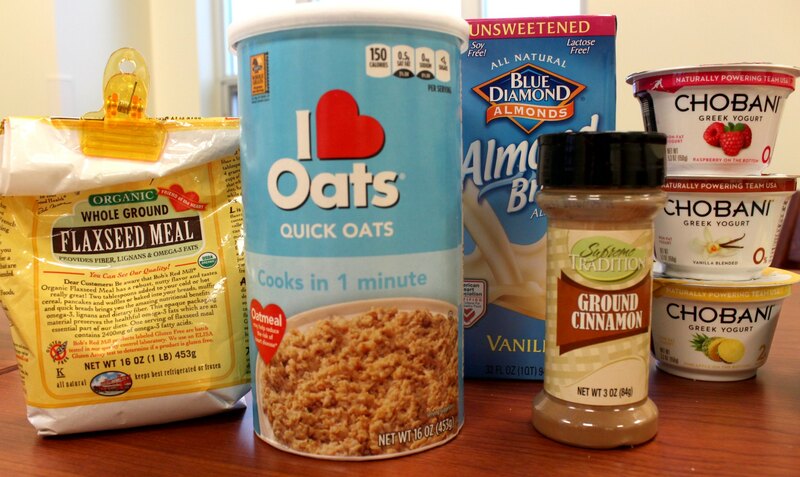 We are going to reinvent the oatmeal like you’ve never seen before. It all comes from “overnight oats.” Essentially, you soak your oats in any combination of milk and/or yogurt of your choice (I use half almond milk and half Greek yogurt) anywhere from the night before to an hour before. Cover it with tin foil and let it work its magic until hunger strikes and you remember about it. When you wake up, throw in some mix-ins and you have a magnificent concoction. Throwback to this classic Ben and Jerry’s flavor. 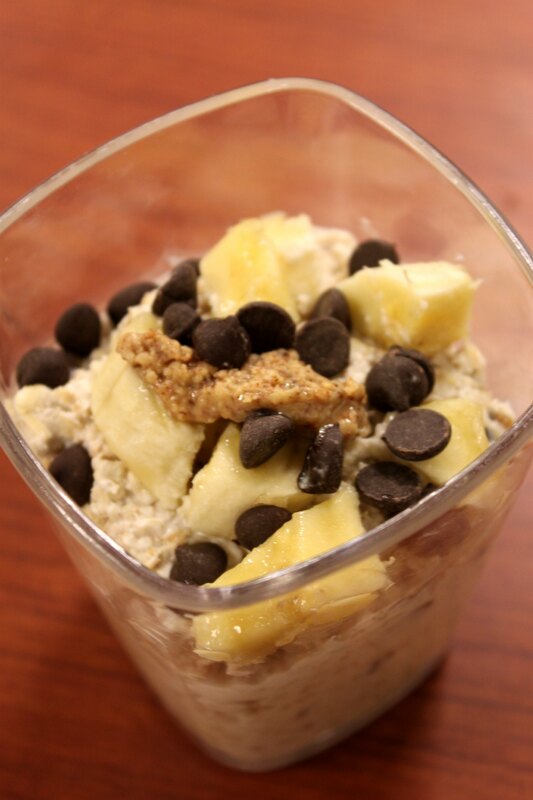 Mix in ½ chopped banana, handful of dark chocolate chips and 1 scoop of nut butter. A healthier, yet equally as delicious alternative to the leftover brownies you were about to eat for breakfast. 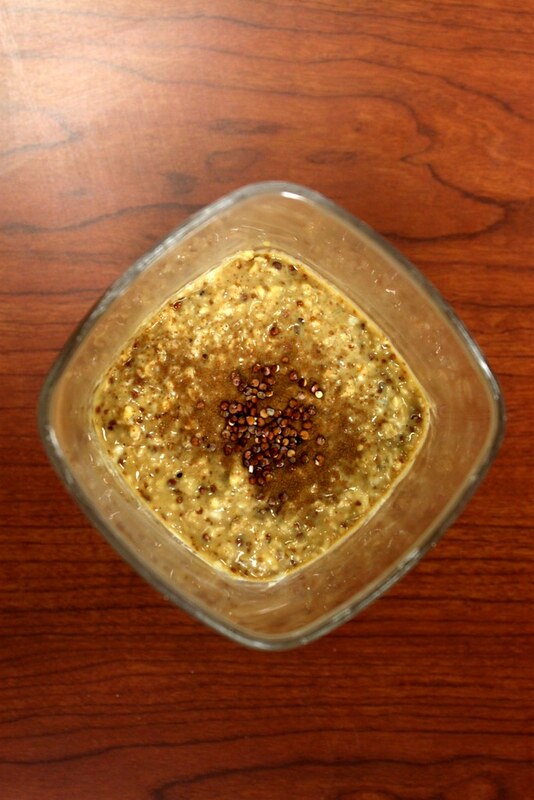 Mix in 1 scoop of cocoa powder, 2 tablespoons of chia seeds and a dash of cinnamon. 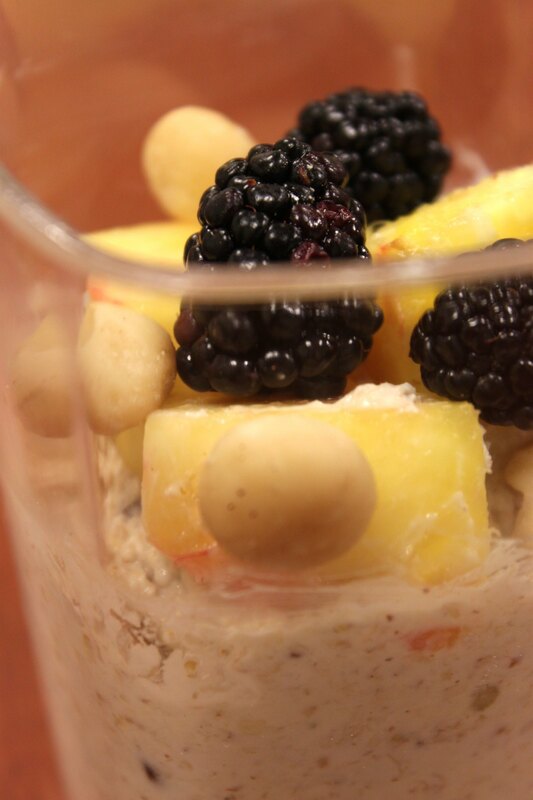 Keep it tropical and light by mixing in pineapple Chobani yogurt, chunks of pineapple and 1 tablespoon of flax seed. We even added blackberries and macadamia nuts because why not! You can take breakfast to a whole ‘nother level with these 5 ways. Oats can help to lower your cholesterol as well as lower your risk of high blood pressure and diseases such as type 2 diabetes. They are also an asset when trying to maintain your weight and contains the phytochemical lignin which can help to prevent heart disease. So why are we overlooking this immune booster as lame and for only people with no teeth?